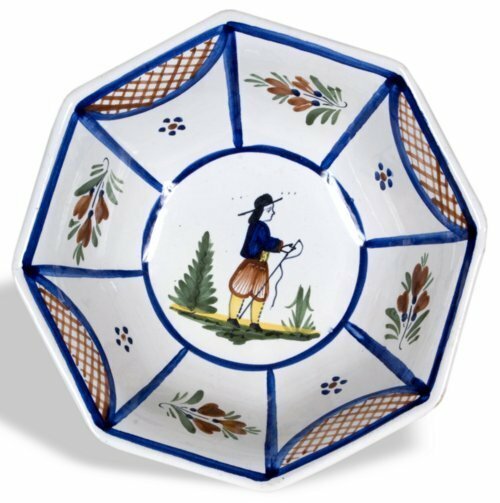 "Mistral Blue" pattern Henriot Quimper ceramic bowl. This bowl is part of set made in France and owned by Virginia Bostick McArthur (1888-1977). As a child, she lived near Salt Creek in Reno County. She later married Vernon McArthur and moved to Hutchinson, Kansas.